As a child, I loved Disney’s movie “Alice in Wonderland.” I was enchanted by the wild antics that ensued at the Mad Hatter’s tea party, and always dreamed of how fun it would be to happen upon an “un-birthday party” in the woods. Now that I have kids, I’ve decided to create a Mad Hatter inspired garden area (see my teapot bird bath! ), where we can picnic and celebrate un-birthdays. Best of all, I get to recycle items purchased at Goodwill San Antonio. 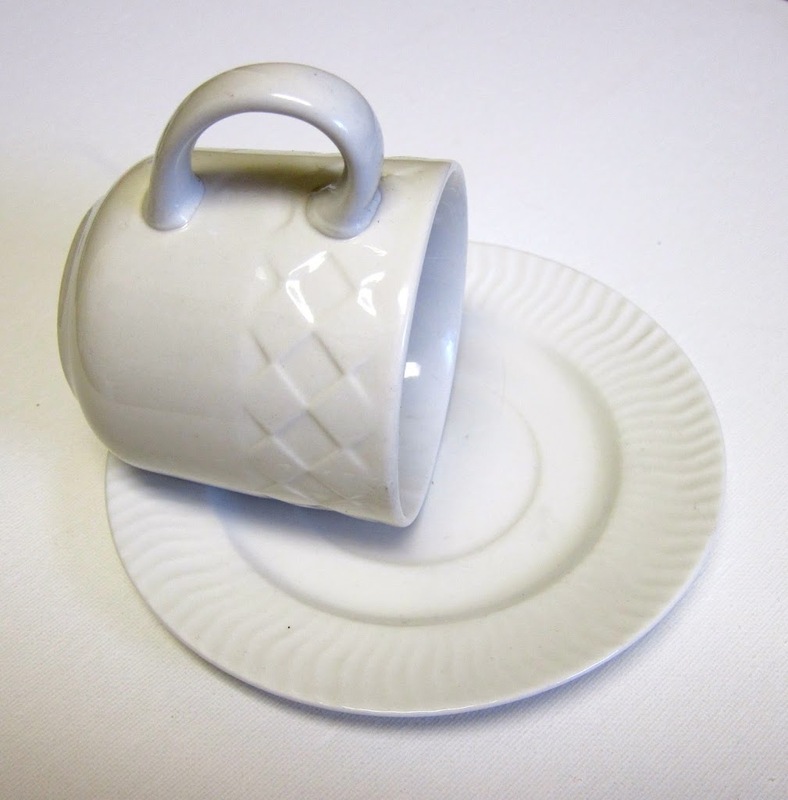 As part of my “mad hatter” theme, I’ll need lots of tea cups. I realized it would be fun to have cups not just on the table, but also hanging from the trees. 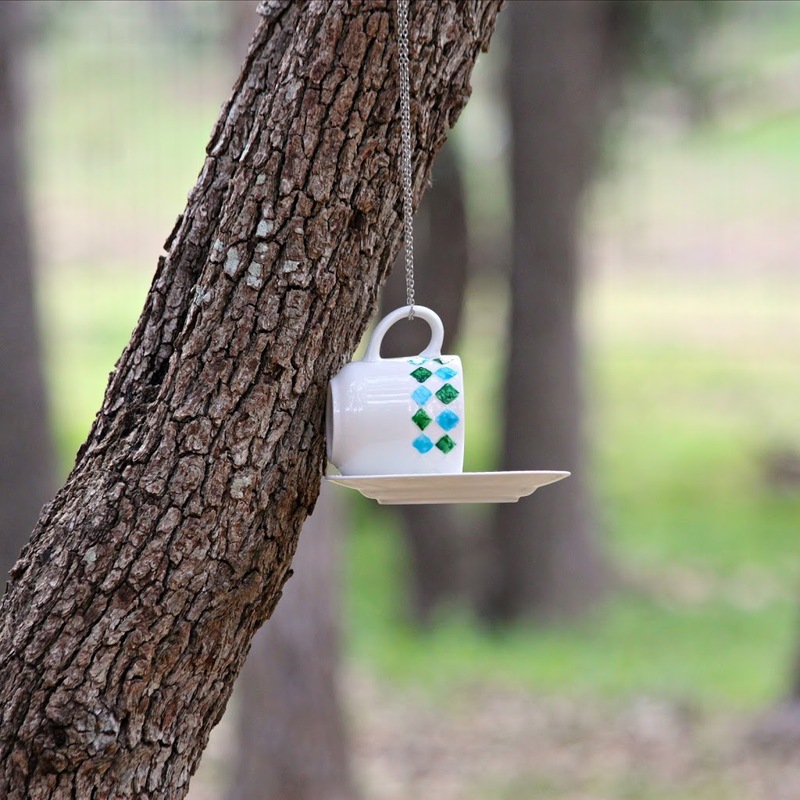 I’ve seen several versions of teacup bird feeders, and knew I wanted to make one. 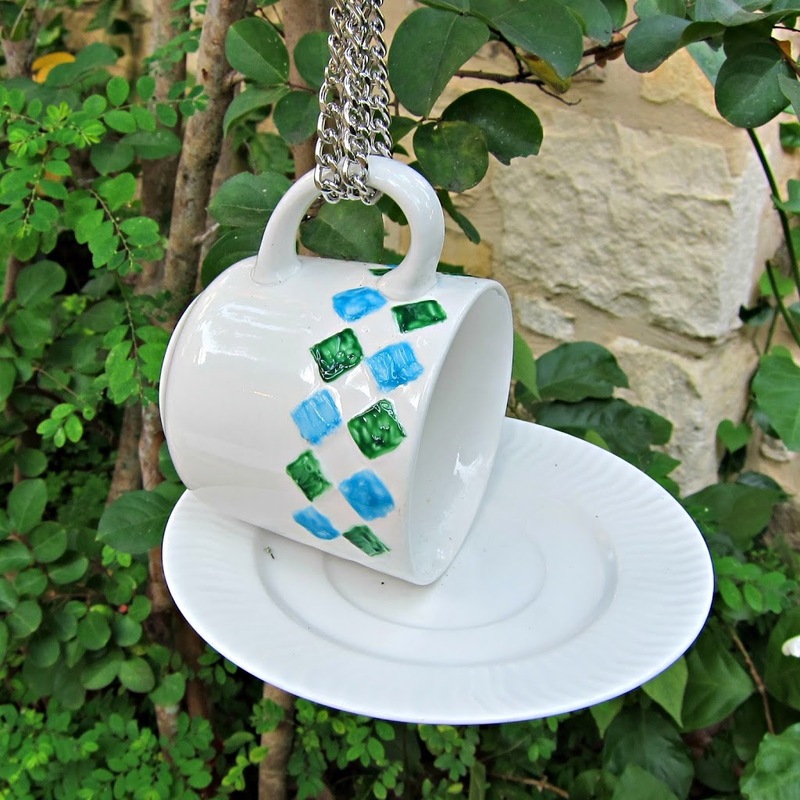 Here’s how I made my tea party themed bird feeder. 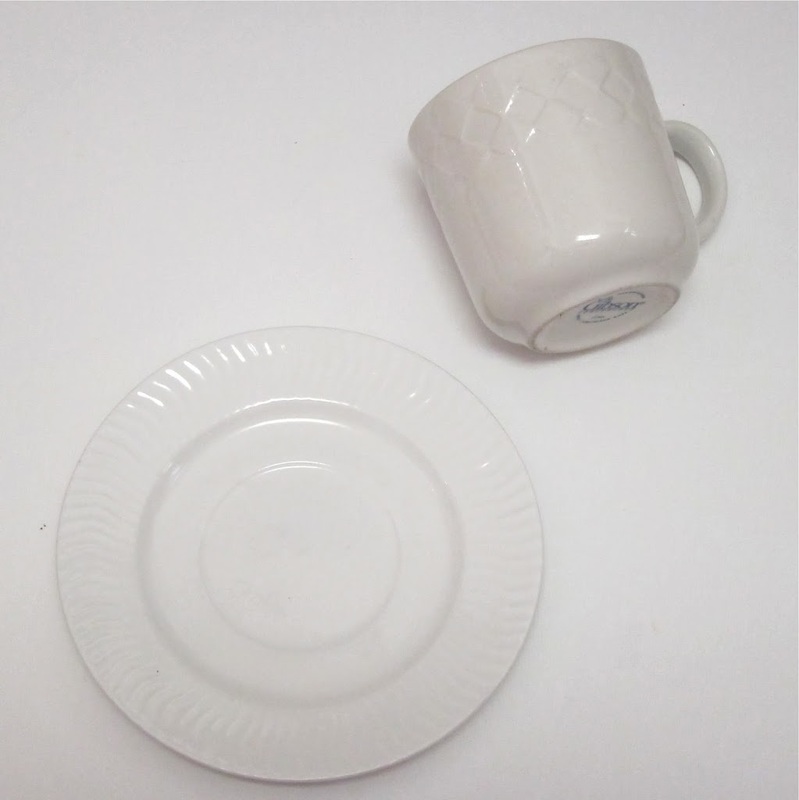 Glue the cup to the saucer using E-6000. Angle it slightly so the seeds can “pour” out. 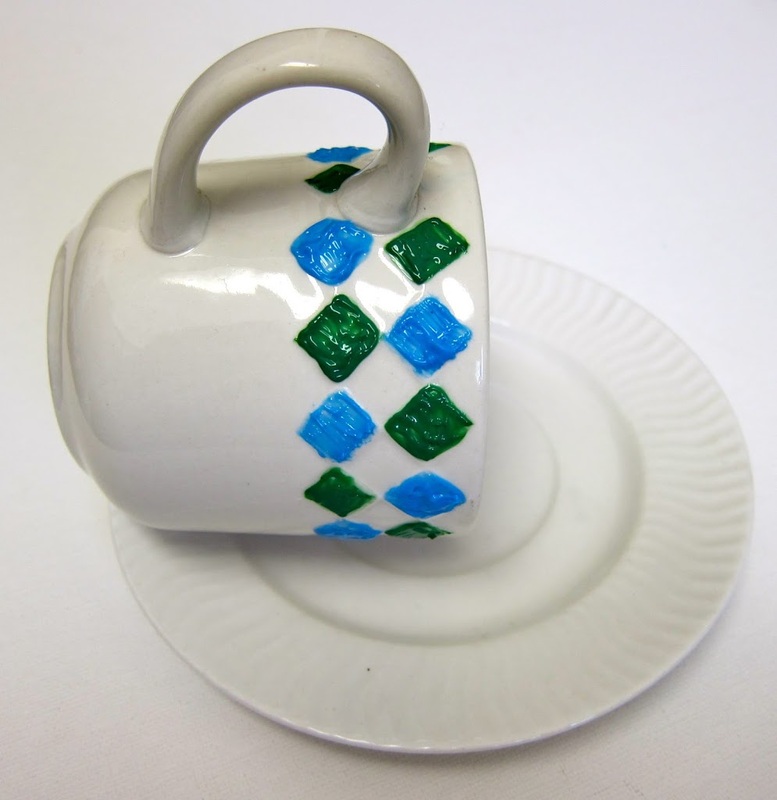 Paint a design on the cup. 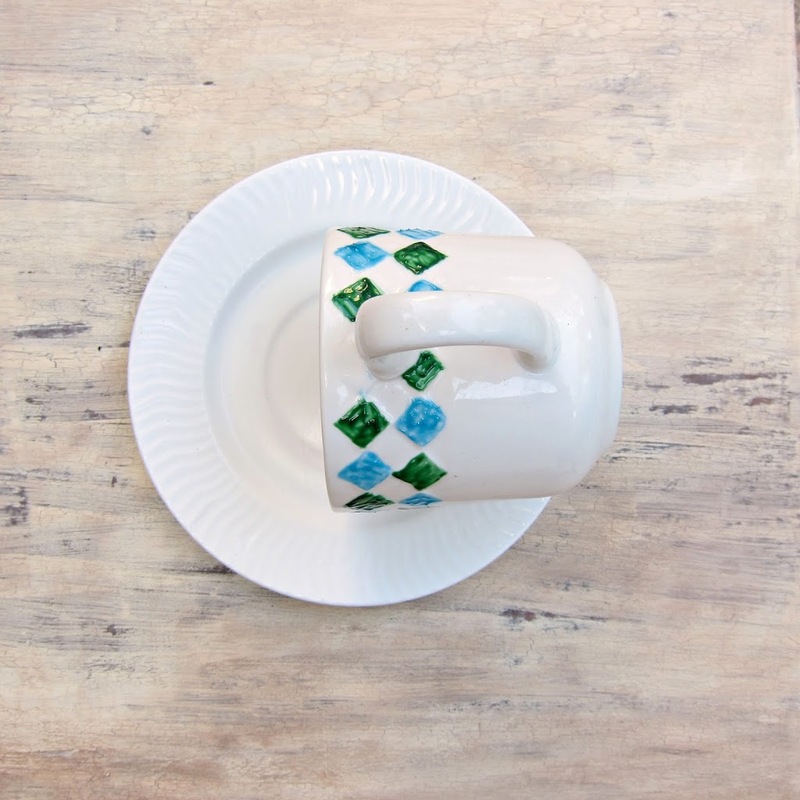 I chose my cup because of the pretty pattern it had, but you could use a stencil, instead. 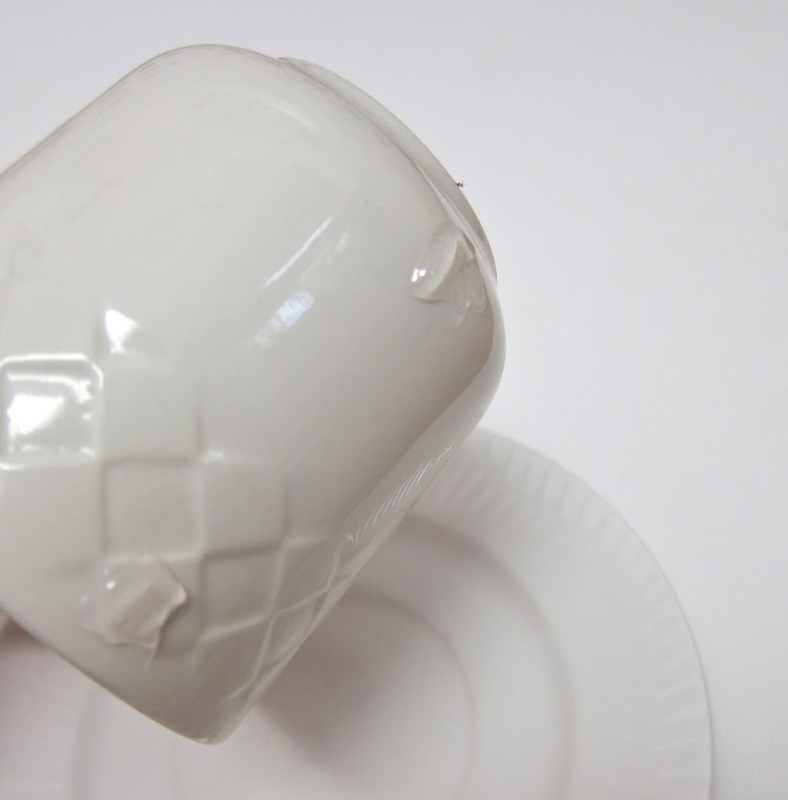 I used glass paint; other options are nail polish or spray paint. 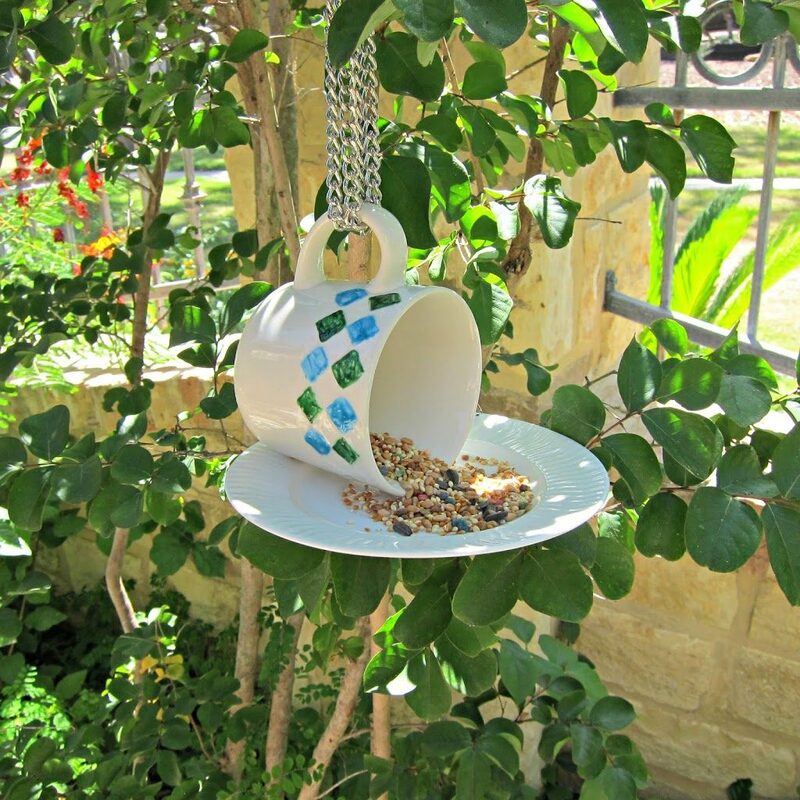 Finally, run a chain or string through the cup’s handle, and hang your bird feeder! You could place your feeder on a post or stand, instead. I’m planning to make several with my kids to hang in our garden. My new bird feeder complements my teapot bird bath perfectly! Now I just need to find a Cheshire cat…. I love this! It’s so pretty and functional. My kids would love to help make these with me and see the birds dining on them in the backyard. Thanks, Morena! Thank you! this is a fun one to make as a family! So glad you liked these ideas! Thank you!